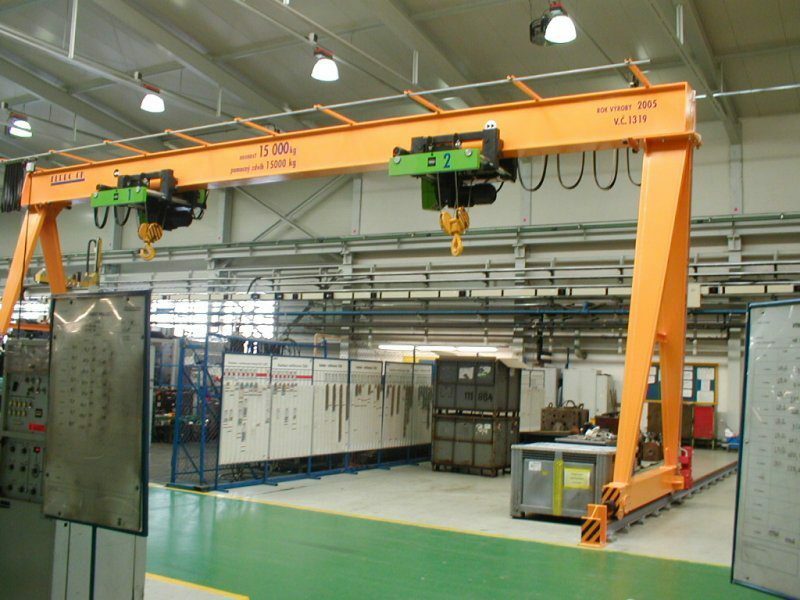 The production program includes singl girder cranes, double girder cranes and single-girder with lateral guides. 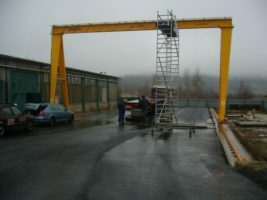 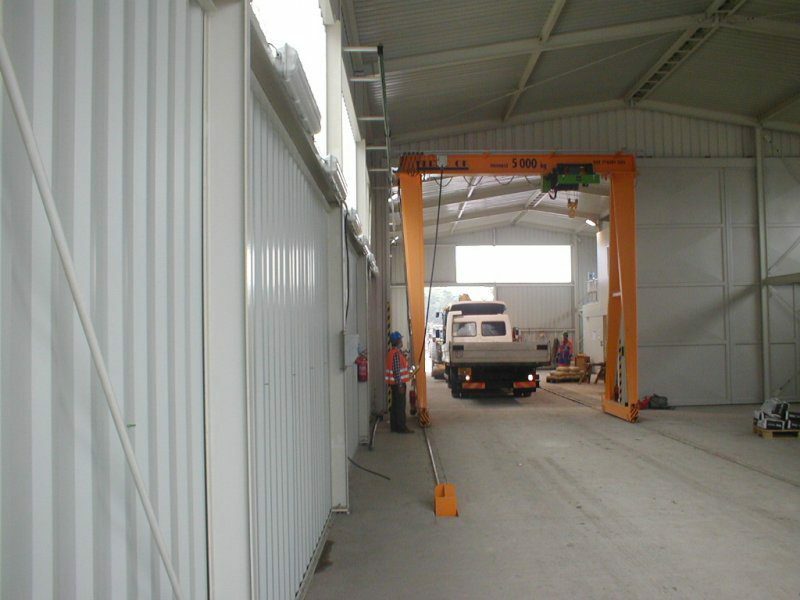 Gantry cranes are used for the lifting and handling of loads in outdoor and indoor areas. 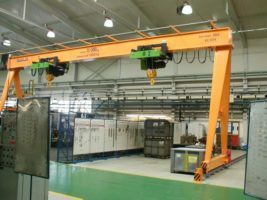 They can be used for example during storage, in assembly and service workshops. 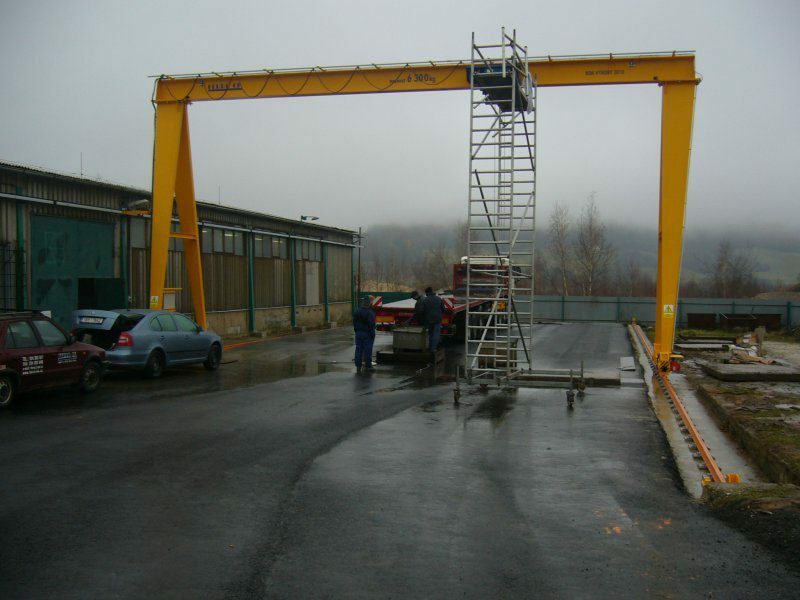 They are a good solution for material handling of more extensive storage facilities where the construction of crane runways is not possible.